German news show heute.de published an online-article about me and my Mozilla-extensions. Signature Switch was featured (and added to CD) in issue 13/2009 of c't-magazine. com!-magazine mentioned Signature Switch in issue 08/2008. The editorial-staff of PC-WELT listed Signature Switch as one of their favourite picks (issue 06/08). Sample copy kindly sent by Masumi Ogawa. Signature Switch is part of the PC-WELT-Thunderbird-Edition featured in issue 09/07. 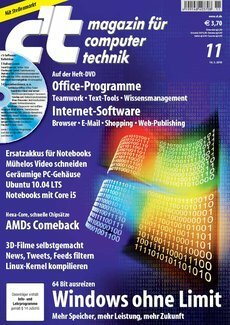 The publisher heise also featured Signature Switch in his 14/2006-issue of c't and distributed it on the "Software-Kollektion 3/06"-CD. Both NestedQuote Remover and Signature Switch were recommended by Golem.